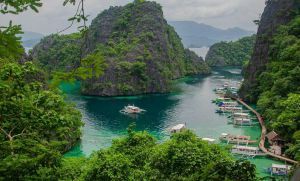 A lot of people believe that the Philippines is just a set of hot and sultry islands with blue skies, gorgeous beaches and swaying palm trees. But, if you feel the same way, think again: yes, the Pearl of the Orient Seas might be famous for its tropical climate, but it also has a region that features cool highland landscapes, temperate weather and unique cultures. This region is called Cordillera. Formally known as the Cordillera Administrative Region, the area made up of one city (Baguio City) and six provinces (Abra, Apayao, Benguet, Kalinga, Ifugao and Mountain Province). 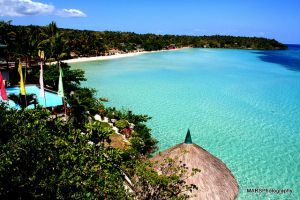 It’s famous for having cool, comfortable temperatures (a huge contrast from the heat that’s present throughout the rest of the country) and for being the only landlocked region on the Philippines. It’s also popular for being the home of many ethnic groups, most of whom have survived several foreign occupations with their ancient culture still intact. Cordillera is likewise known for its breathtaking sights, which have attracted numerous vacationers over the years and made the region a top tourist destination. If you’re planning to visit Cordillera, you have two major routes to choose from. The most popular option is to go for the Manila-Baguio route, which will take around seven hours (depending on the flow of traffic) and will cost you Php500 or so. You can also opt for the Manila-Banaue route, which will last approximately nine hours (again depending on road traffic conditions) and will set you back around Php600. These routes are serviced by bus companies like Victory Liner, Ohayami Bus Company and GV Florida Bus, so the only thing you should do is to buy a ticket before you leave. If you’re renting a car, you can also do the drive on your own; just ensure to have a replacement driver on hand who can take over when you feel tired or sleepy. Once you’re in the region, make it a point to explore some of the area’s most popular attractions. You can begin your journey in Baguio, where you can commune with nature at Camp John Hay, relax in Burnham Park, marvel at the beauty of The Mansion, ride a horse at Wright Park and dine in wonderful restauarants at Session Road. Once you’ve seen most of what the Summer Capital has to offer, head away from the city proper and check out the rest of Benguet. Here, you can munch on sweet berries at the Strawberry Farm (depending on the time of the year, of course), climb up Mt. Pulag and explore the mummy caves in Mt. Timbac. Make sure to check out the Banaue, Batad and Hapao Rice Terraces in Ifugao, the Boliney hot spring in Abra, the Ugid Maling subterranean river in Kalinga, the numerous waterfalls along the Apayao River in Apayao and the hanging coffins in Sagada. There are lots of Western, Asian and Filipino restaurants in Cordillera, particularly in Baguio. But, to gain a deeper understanding of the local culture and fully enjoy your experience, give the local delicacies a try. Some of the top dishes you should taste include pinikpikan (grilled chicken mixed with vegetables and smoked pork neck or chop), pinuneg (blood sausage made of pork, pig’s innards, rice, vinegar, garlic and spices) and sabusab (sliced meat, fermented rice, ginger, onions and tapuey, a native rice wine). Tapuey isn’t only for cooking but also for drinking, so swill down a glass or two of this refreshing drink made of fermented rice, special yeast and mountain spring water.